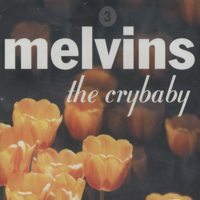 The final installment in the Maggot, Bootlicker and Crybaby trilogy from renowned in-joke rock stompers THE MELVINS. Eleven stylistically diverse tracks featuring a parade of special guest "stars" including LEIF GARRETT (singing "Smells Like Teen Spirit"), HANK WILLIAMS III, DAVID YOW (JESUS LIZARD), HENRY BOGDEN (HELMET), MIKE PATTON, JIM FOETUS, SKELETON KEY, TOOL, BLISS BLOOD (PAIN TEENS), and KEVIN SHARPE (BRUTAL TRUTH). Original recordings and covers of songs by Nirvana, Jesus Lizard, Hank Williams, Merle Haggard, and others.